There will be a lot of talk this week about the changes for the Monster Energy All-Star Race at Charlotte (N.C.) Motor Speedway. An event with as much tradition as the All-Star Race will see something new this year – restrictor plates. Used only at Daytona (Fla.) International Speedway or Talladega (Ala.) Superspeedway, the plates will be coming to the 1.5-mile Charlotte oval Saturday night. Restrictor plates were actually used somewhere other than a superspeedway – New Hampshire Motor Speedway in Loudon – on Sept. 17, 2000, when Jeff Burton led all 300 laps en route to victory. One week later at Dover (Del.) International Speedway, a young Kurt Busch made his Monster Energy NASCAR Cup Series debut. In addition to the restrictor plate at Charlotte Saturday night, racecars will also sport a 6-inch high spoiler with two 12-inch “ears,” a 2014-style splitter up front, and aero ducts. There will also be a format change for Saturday night’s non-points feature event that is expected to make things thrilling for drivers and fans. But, for Kurt Busch, driver of the No. 41 Monster Energy Ford Fusion, it all means a lot more. For starters, he is sponsored by Monster Energy and there would be no better reward that winning the Monster Energy All-Star Race. Secondly, the victor takes home a cool $1 million. Thirdly, Busch simply would just like the trophy. 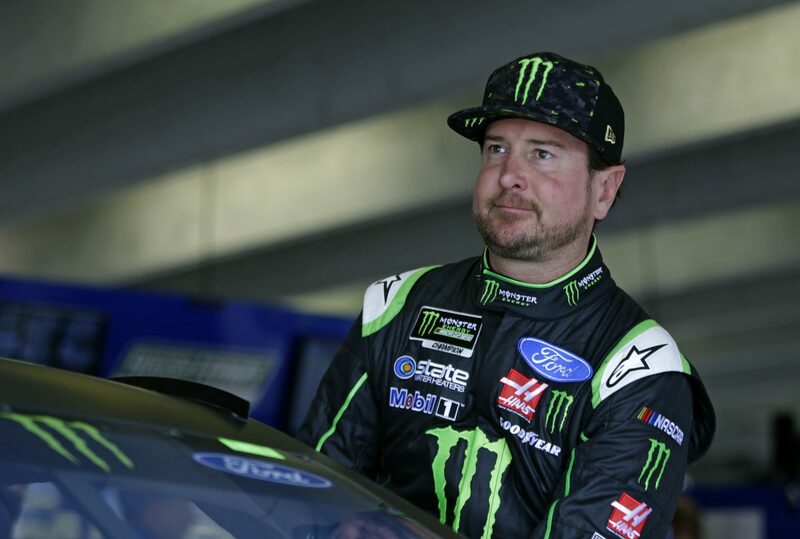 Busch has won exhibition races before, including the All-Star Race at Charlotte, and two events at Daytona – the Can-Am Duels that set the starting field for the Daytona 500, and The Clash, which is the non-points race that kicks off the season there each year. Both of Busch’s wins at Daytona came in 2011. His win in The Clash came after he swept past Ryan Newman off the final turn, thanks to drafting help from Jamie McMurray. In claiming the checkered flag, he became the 19th different winner of the event that began in 1979. Although it wasn’t a points-paying win, it was the first restrictor-plate victory of Busch’s career. Five days later, Busch again drove into victory lane, this time in the first Can-Am Duel. He started sixth and drafted with Regan Smith all afternoon en route to the win. Busch would love nothing more than to score another All-Star victory. It would certainly lead to a “Monster” of a party in victory lane. How important is the Monster Energy All-Star Race? How are the restrictor plates going to be at Charlotte? What does it mean to you to be in the All-Star Race? Talk about winning the event in 2010. What do you remember about that race? And what would it mean to you to win another one?